Andrew (John) Twa. Composer, violist, accountant, b Ellisboro, Sask, 13 Dec 1919, d Toronto, 16 April 2009. He studied viola with Richard Ainsworth in Brandon, Man. 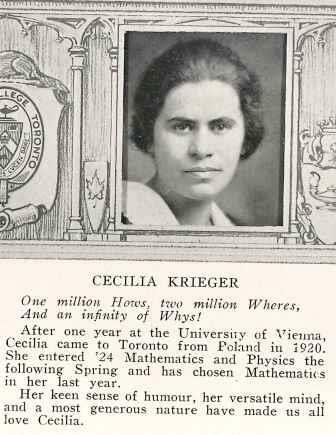 Cypra Cecilia Krieger, mathematician, professor (born 9 April 1894 in Jasło, Galicia [Poland]; died 17 August 1974 in Toronto, ON). Krieger was the first woman to receive a doctorate in mathematics from a Canadian university (the University of Toronto) and only the third person to be awarded a mathematics doctorate in Canada. She taught mathematics and physics at the University of Toronto for over 30 years. Krieger is best known for her English translation of noted mathematical texts Introduction to General Typology and General Typology. Evelyn Merle Roden Nelson, mathematician, professor (born 25 November 1943 in Hamilton, ON; died 1 August 1987 in Hamilton, ON). A brilliant mathematical mind, Evelyn Nelson fought gender barriers in a discipline long dominated by men to become a rising star in the field both in Canada and abroad. 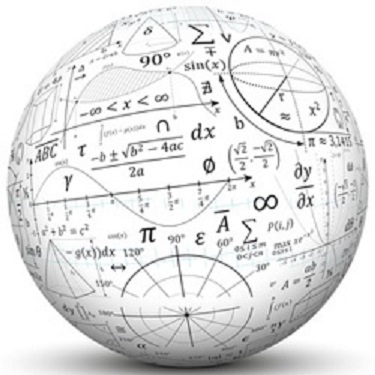 She contributed to the fields of universal algebra, equational compactness and formal language theory. Nelson was particularly interested in applying universal algebra to the then-burgeoning field of computer science. She was a devoted teacher, sought-after research partner and the author of over 40 publications during what was a tragically short career. Harold Scott MacDonald Coxeter, "Donald," mathematician (b at London, Eng 9 Feb 1907; d at Toronto, 31March 2003). Coxeter received his BA (1929) and PhD (1931) at Cambridge. He was a research fellow there from 1931 to 1935, spending 2 years as research visitor at Princeton.